#6 x 1" Deep Thread Pan Head Screws Black 100 Pcs. • Becoming Aquaman: entra nel mondo di Jason Momoa. 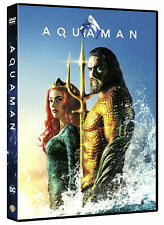 (DVD) DC COMIC. • Tuffati con il re dei sette mari in più di 60 minuti di azione del dietro le quinte! Formato Video: 2,40:1 Anamorfico 1080p. Codifica: PAL. For information on available application software plug-ins check the miniDSP products plug-ins 2x4-plug-ins page. The miniDSP 2x4 is a high fidelity/high performance digital signal processor (DSP) with two analog inputs and four analog outputs. 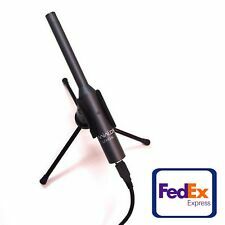 This exciter's small size enables audio reproduction in places never imagined: toys, monitors, cabinet doors. even windows! 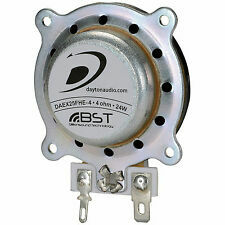 Thinner, smaller materials will tend to be louder and create a mid/tweeter response. DBX 20/20 COMPUTERIZED GRAPHIC ANALYZER COMPUTERIZED EQUALIZER. Condition is Used. UNIT turns on and lights work but unsure to quality of sound or performance, removed from an old home install. This unit is sold as is. This is a vintage audio device. No returns accepted. Con Jamie Dornan, Dakota Jhonson. PROFILO DI JAMIE DORNAN: Alla scoperta dell’attore dietro questo iconico personaggio. LA TRILOGIA COMPLETA Estesa Cinematografica (3 DVD). CINQUANTA SFUMATURE. Teaser di Cinquanta sfumature di rosso, Scrittura oscura, Dark reunion. Affrontare un avversario legato al passato della sua famiglia, non fa altro che rendere più intenso il suo imminente incontro sul ring. Titolo Originale: Creed II. Genere prodotto: Video - DVD VIDEO. MLB.TV PREMIUM SUBSCRIPTION. YOU CAN USE THIS ACCOUNT WITH THE “MLB AT BAT ” APP FOR iOS or ANDROID DEVICES. SUPERGIRL 4. (5 DVD) SERIE TV Dc Comics. Genere: Serie TV. Ut enim ad minim veniam, quis nostrud exercitation ullamco laboris nisi ut aliquip ex ea commodo consequat. Duis aute irure dolor in reprehenderit in voluptate velit esse cillum dolore eu fugiat nulla pariatur. Scoraggiato dal suo matrimonio con Aslaug e dai problemi con i suoi figli, Ragnar cerca conforto dalla sua schiava Yidu. 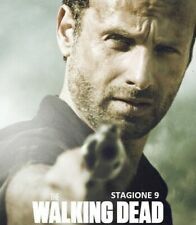 SERIE TV WARNER BROS. Genere: Serie TV. Ut enim ad minim veniam, quis nostrud exercitation ullamco laboris nisi ut aliquip ex ea commodo consequat. They have been pulled out of a residential system where they were in use for a number of years. They still power on and are fully functional, but it is important to note that such continued use can have a slight performance decrease. Excellent Tested & Working Complete. UP FOR SALE IS DAHLQUIST DQ-LP1 VARIABLE LOW PASS ACTIVE CROSSOVER. The Dahlquist DQ-LP1 is a unique line-level crossover which combines an electronic Low-Pass filter with a passive High-Pass filter. BIOGRAFICO MUSICALE. Genere: Biografico. Perché Farrokh lo sa che è fatto per la gloria. Contrastato dal padre, che lo vorrebbe allineato alla tradizione e alle origini parsi, vive soprattutto per la musica che scrive nelle pause lavorative. FULLY TESTED GENUINE YAMAHA REMOTE - TESTED WITH AX1 RECEIVER. RALPH SPACCA INTERNET. Il cattivo ragazzone Ralph e la piccola pilota "glitch" Vanellope sono tornati! Titolo Originale: Ralph Breaks the Internet. Genere: Animazione Digitale. DISNEY PICTURES. Up for grabs are a few decommissioned tvOne 1t-fc-425 video converters. 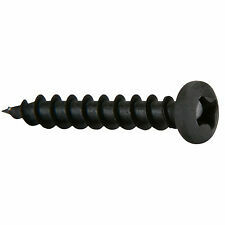 #8 x 3/4" Deep Thread Pan Head Screws Black 100 Pcs. 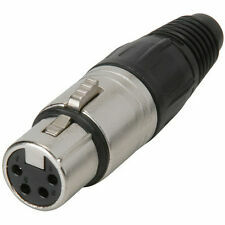 Perfect for speaker building and driver mounting. We will not begin processing your order until the funds have cleared. Wire & Cables. Each speaker order includes the following instructions: To "audition" a speaker without scratching or marking it will require getting into the speaker cabinet and listening to it play without actually mounting it with screws. 60-859-11 Fox 500DVI Tx MM. The FOX 500 Tx is part of the extensive FOX Series of fiber optic products from Extron and is compatible with FOX Series HDMI, DVI Plus, DVI, and VGA receivers. It can be used for simple point-to-point applications or in combination with FOX Series distribution amplifiers and matrix switchers to handle the most challenging AV system designs, from a simple conference room to an enterprise-wide fiber optic distribution system. 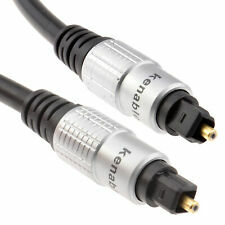 Other Notes: "Glass optical's immunity to RFI/EMI makes the Light Link the ideal choice for longer runs of cable, and total ground isolation.". Value: In the never-ending pursuit of high performance, it’s important to stretch your limited budget as far as possible. 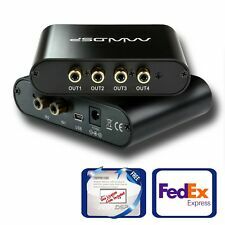 It converts a composite video input to an s-Video (Y/C) output. (Oppo BDP-103 upgrade hardware kit. (External installation only for BDP-95/105 players). 1) One set of hardware kit;. Use of this upgrade cable at your own risk! Clark Synthesis has led the design and production of tactile transducers for over 15 years. This high-tech bass shaker produces 1.6 lbs.-ft. of force per watt, with a peak force output of 216 lbs.-ft. In the box with manuals, never used. Damit bleibt der Focus allein auf den Blu-Ray Covern. Das sieht gut aus und schafft für Ihre Lieblings-CDs einen ungewöhnlichen Platz, der sie von allen anderen CDs, DVDs und Blu-rays abhebt. Unabhängig von Schienen, Plastikhaltern oder dauerhaften Klebstoffen lassen sich mit der patentierten Befestigungstechnik von CD-Wall® Akzente in Ihrem Wohndesign setzen oder eine komplette CD-Wand gestalten. No software, power cords, batteries or accessories provided unless pictured. Open Box/Never Used. Tx Input: 1 HDMI Connector, Type A, 19 Pin Female. Tx Output: 1 HDMI Connector, Type A, 19 Pin Female; 1 CAT5e/6 on RJ45. Tx Output: 1 HDMI Connector, Type A, 19 Pin Female. All video and audio in/out tested. All functions work as they should. Scuffs and scratches from normal use. Includes 13 ft of wire, mounting disc and bolt. - Compare to others costing 5X as much. - Weight: 2.7 lbs. ION VCR 2 PC Video to Computer Converter Conversion System Tapes New Open Box. Shipped with USPS Priority Mail. For engineer testing and project use. -Max Power: 60W RMS Power: 18W. Excellent condition. Fully burned in for about 330 hours. Bare unit no remote or power lead. all you see is what you will get ! the pictures are of the actual item. Also great for custom projects or giving new gear the old school look. 64" wide and sold by the linear yard. Your #1 Source for Audio, Video and Speaker Building Components. Speaker Components. Each speaker order includes the following instructions: To "audition" a speaker without scratching or marking it will require getting into the speaker cabinet and listening to it play without actually mounting it with screws. Personal check NOT accepted. Unless noted otherwise. Furutech 104-D Carbon Fiber Hi-Performance Duplex Outlet Cover Plate. Condition is New. Shipped with USPS First Class Package. Then insert the SD card into the slot on the side of your Android Smart Tv box and open the app. or you will have to copy paste the files into specific file folders that your emulator creates on your Android TV boxes internal storage system. LED & LCD Flat Screen TV BACKLIGHTING - fits Samsung 37" 40" 42" 50" 52" 55" 60"
Extended edition della trilogia completa di "Lo Hobbit". 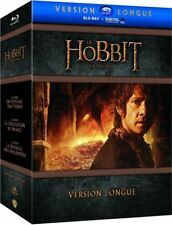 LO HOBBIT EXTENDED EDITION - LA SAGA COMPLETA IN UN UNICO COFANETTO (15 DVD). Prodotto Import con Lingua Italiana. Formato: DVD, PAL. Regione: Regione 2 (Ulteriori informazioni su Formati DVD.). Like new. Complete with all cables. Smoke free home. PHONAK™ ComPilot TVLink S Bluetooth Streamer & Remote Control TVLink2 Complete . Condition is Used. Shipped with USPS Priority Mail.